Determined to consistently provide great sound on tour, Snake opted for DPA d:dicate™ 4011A Cardioid Microphones on the snare top and ride, a d:vote™ 4099 Instrument microphone on the hi-hat top and d:dicate™ 2011 Cardioid mics on the snare bottom, rack toms and floor toms. I usually defer to Snake on microphone choice unless there is something that really isn’t working for me in the mix. On this occasion I am very pleased that he’s using DPA on the drum kit because I now have one of the most dynamic and natural sounding drum mixes I’ve ever had on a live tour. Harry Style’s current tour has been travelling around the world since March 2017 and will complete in California at the end of July 2018. DPA microphones have been on the equipment list throughout and were chosen because they are a tried and tested solution, says Rod Clark, audio crew chief. Coping with challenges is second nature to Chopper and Snake, both of whom have worked on numerous large scale live tours for artists such as Robbie Williams, Snow Patrol, Duran Duran, Massive Attack and Pet Shop Boys. Snake, who has used DPA mics on previous occasions, says he is particularly pleased with the d:dicate 4011 and 2011 mics he’s chosen for the drum kit because they sound so open. 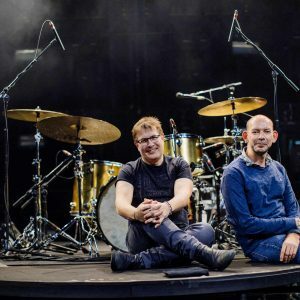 They were already my go-to for any orchestral string miking and I remember thinking that if anyone asked me to do a simple mic up of a drum kit ‘Motown style’, the d:dicate wide cardioids [4015A] that we are now using on drummer Sarah Jones’ kit would absolutely wipe the floor with anything I’d ever used. They are so beautiful – the top end is gorgeous but the whole frequency range stays solid right down to the bottom end. I swear you could do 90% of the drum kit with a pair of these and one kick drum mic because they just sound so true. Obviously, that’s not really an option live because you need more than just three mics, but we’ve ended up with a kit that is miked with DPA because the whole range sounds so good. Snake is also using two d:dicate™ 4015 Wide Cardioid microphones as overheads and says that he loves them on overheads more than any other microphone – bar none. “They are a little wide in the circumstances, given the screaming kids, but the evenness of their pick up is just great,” he explains.